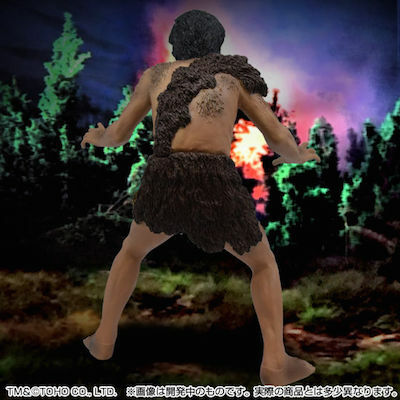 The Good, the Bad, and Godzilla 続・夕陽の呉爾羅: BANDAI'S FRANKENSTEIN CONQUERS THE WORLD Premium Online-only figure of Giant Frankie! 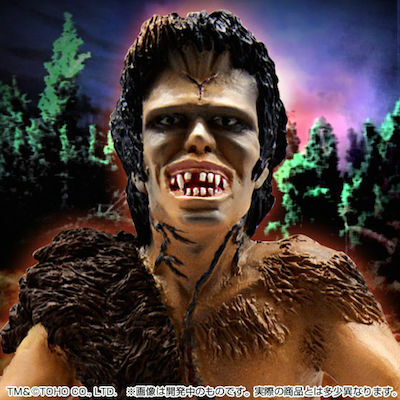 BANDAI'S FRANKENSTEIN CONQUERS THE WORLD Premium Online-only figure of Giant Frankie! 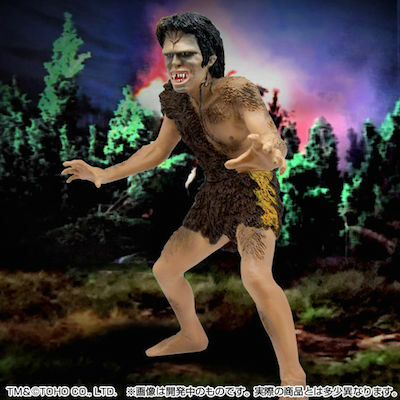 Here comes Bandai's first vinyl figure of the Colossal Frankenstein! COLOSSAL GARGANTUAN BREAKING NEWS! 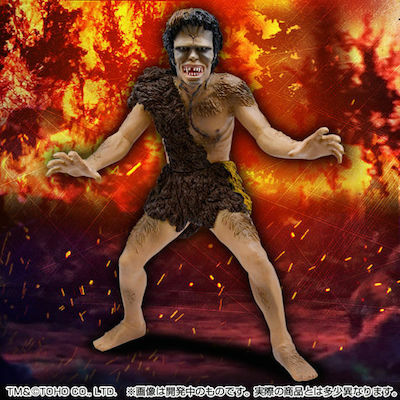 A correspondent of mine in Japan tipped me off to this news (which I promised not to publish 'til today, September 21st), that following in the footsteps of the online-only Bandai Premium figures of "Gaira" and "Sanda" from THE WAR OF THE GARGANTUAS (1966), comes their predecessor - the titular titan from FRANKENSTEIN CONQUERS THE WORLD (1965). As with the previous pair in Bandai's "Kaiju Bangaichi" line, this will be the first time the company as issued any soft vinyl figure of the character, which will measure 18 cm (7.08"). Unlike Sanda and Gaira, Frankenstein is being touted as limited to 2,500 pieces "nationwide" (as this is a domestic Japanese release). Preorders will begin later today in Japan during this weekend's Super Festival 75 in Tokyo. While the world burns, Frankie's posed to fight - but with whom? Baragon was originally planned for "Kaiju Bangaichi" but was canceled since Bandai had previously issued a figure of the popular burrowing beast to their "Godzilla Series" line back in 1992. 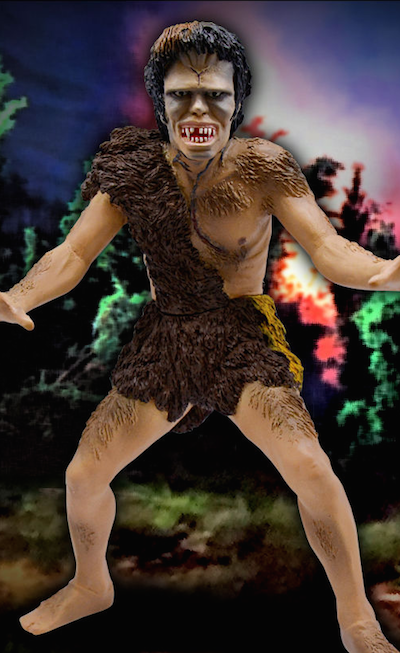 Those behind the scenes are still hoping to push the idea that Baragon is due a new in this line - perhaps a "crawling version" of the critter? While Bandai's position is understandable, the earlier figure was issued 25 years ago. Let's cross our claws, but not hold our collective radioactive breath. Frankie searches for his opponent... One of our Baragons is missing. While more details (and photos, hopefully) of the Giant Octopus (can it be true?) have been promised to be unveiled this weekend at Super Festival 75 (if my sources are correct) - this amazing, colossal Frankie will retail for ¥4,400 ($39.50 USD) and is set to ship this January 2018 - with preorders through Bandai Premium's website starting at 11:00 am, September 22nd (Japan Time). Now, we can finally roll the seven wonders of the world into one! I usually agree with your article content, but in this case I am sorry to say that I do not share your views…. The information we always wait for. Readers who can be the most special people. I really admire the contents in your article, hopefully after visiting your page I have gained many valuable experiences.